Bourgogne Bourgondie This part of France is well known for its Burgandy wine. Holiday homes in Burgundy for an unforgettable holiday. 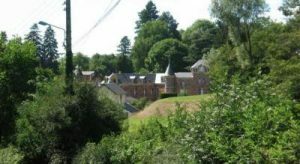 Bourgogne France holiday accommodation . Located a 30-minute drive from Auxerre, Auberge du Moulin de Sainte Vertu offers en suite rooms with free Wi-Fi access, and a restaurant on site serving traditional French cuisine. More The property has a furnished terrace looking out onto the garden. Each room includes a flat-screen TV and a private bathroom with a shower. Some rooms have a view of the river. A buffet breakfast is served daily. With the Chablis vineyards just 19 km away, you can enjoy a guided visit with one of the owners, who is a wine-grower. Other local activities include fishing, hiking and cycling. The property provides free, private parking on site. All rooms and suites feature a flat-screen TV, seating area, a wardrobe and a bathroom. There is also a kitchenette with a Nespresso coffee machine. A brunch-style breakfast serving hot drinks, fruit juice, bread, butter, jam, cheese, ham, eggs, yogurts and pastries is available each morning. Guests can also sample traditional cuisine in an evening meal, upon reservation at 24 hours in advance. Nevers is 68 km away and Autun is just under an hour’s drive from the property. Additional features include free Wi-Fi access and free private parking on site. 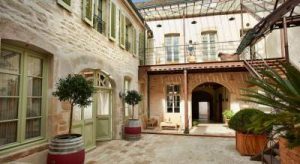 Set in a former wine making property from the 14th century, Chez Les Fatien provides en suite accommodation in the wine capital of Burgundy. More It is only 1 km from the Hospices de Beaune and free Wi-Fi is available throughout the hotel. The Fatien rooms are air-conditioned and uniquely decorated with antique furniture. Each room is equipped with a TV and private bathroom. Chez Les Fatien has a large wine selection and guests have the possibility of visiting the hotel’s wine cellar. Chez Les Fatien is 1 km from Beaune Train Station. A private and secured car park is available at an additional cost. 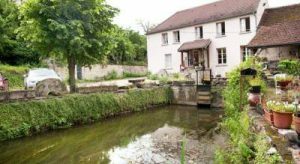 Take A Break Holidays takeabreakholidays, Bourgogne Bourgondie Accommodation.